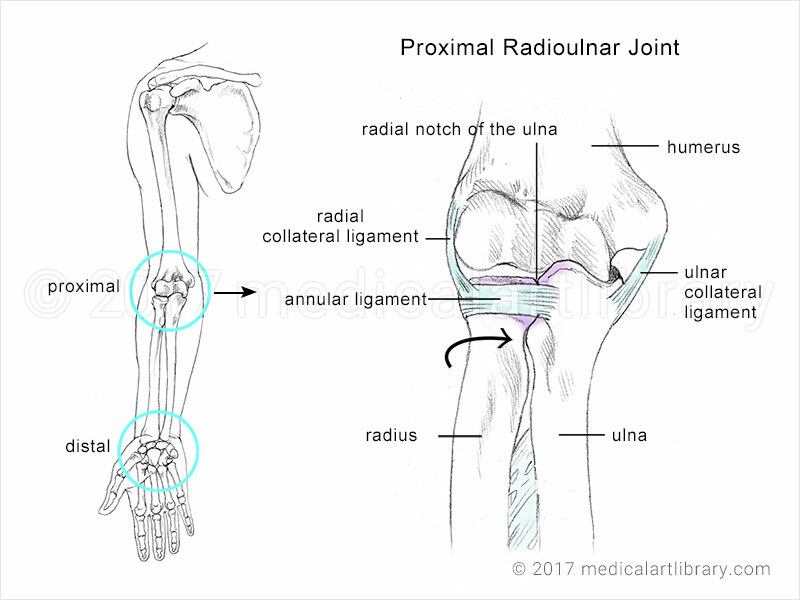 The proximal radioulnar joint is the joint formed by the head of the radius, the annular ligament and the ulna. 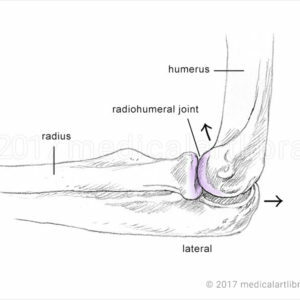 The band-like annular ligament circles the head of the radius where it fits snugly into the radial notch of the ulna. This joint allows a rotary movement of the head of the radius. 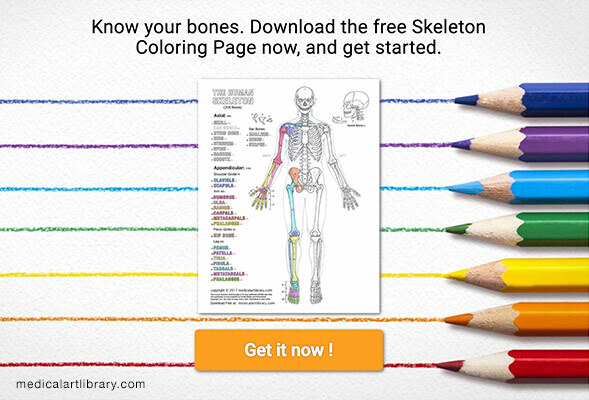 The action of both the proximal and distal radioulnar joints allow pronation and supination of the forearm. Supination is performed by the biceps brachii and supinator. Pronation is performed by the pronator teres and pronator quadratus. 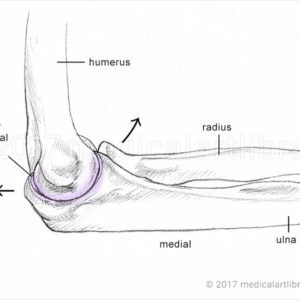 The ulnar and radial collateral ligaments help strengthen the joint capsule (not shown) of the elbow.